What exactly defines one’s lifestyle? Lifestyle can be summed up as a person’s unique perspective. An individual with a well-honed point of view, when blessed with the ability to communicate, can make an ideal instructor for those who are seeking to be inspired. 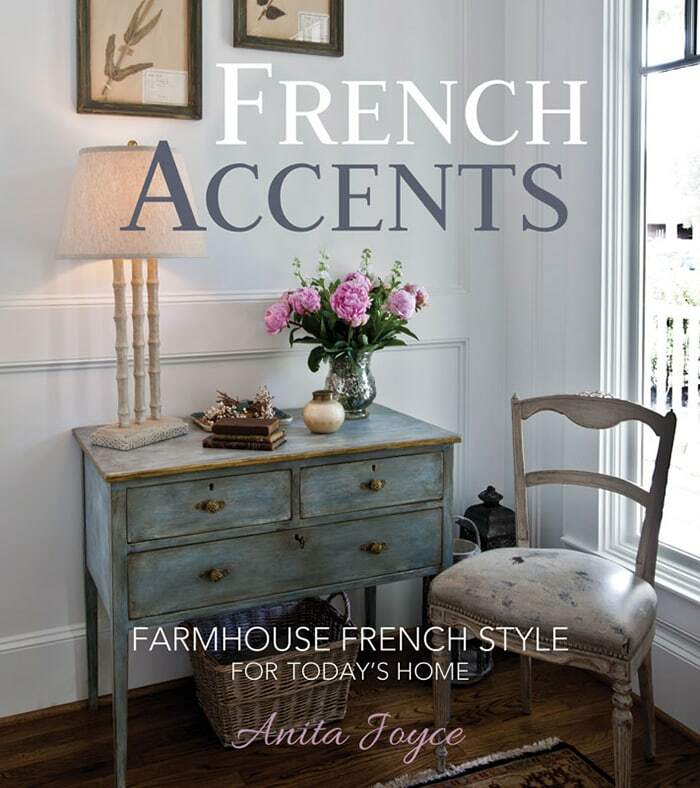 Such is the case with my friend, Anita Joyce, who recently published her first book, “French Accents, Farmhouse French Style for Today’s Home”. Anita’s journey is about a woman romanced by French style who commits herself to fulfilling this uncovered passion by crafting a home that celebrates the aesthetic, despite having no prior expertise and all within the confines of a real-life budget. She is driven not only by the visual beauty of French design, but also by the appealing lifestyle that treasures home and family. In reading this exquisite book, filled from cover to cover with Anita’s stunning photography, I was struck by the fact that she has truly created something uniquely her own. 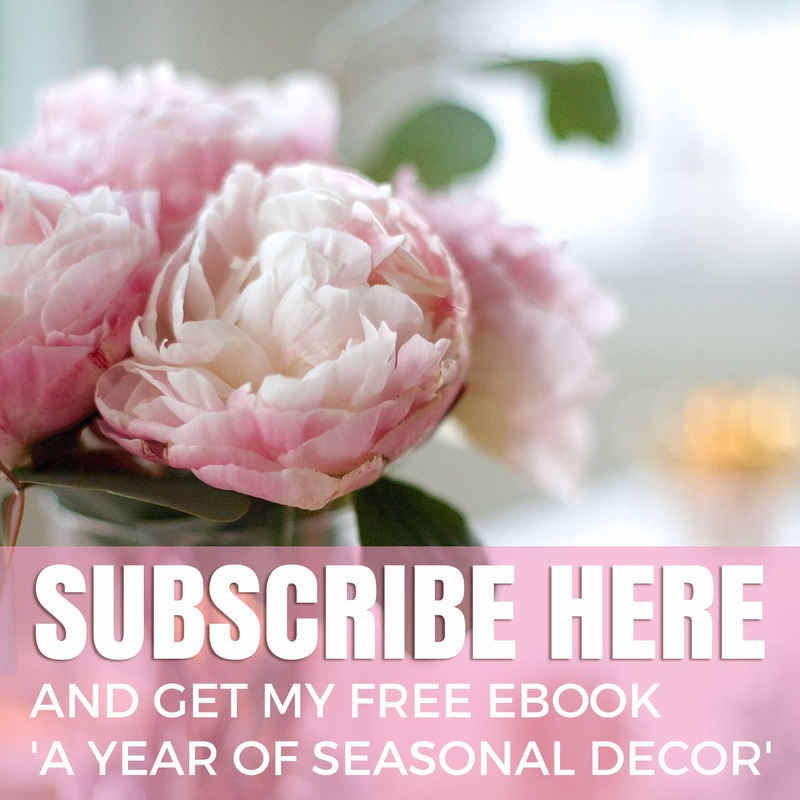 If, like me, you are a dedicated Francophile, you may have shelves brimming with French decorating books, yet Anita’s perspective is unlike any other. 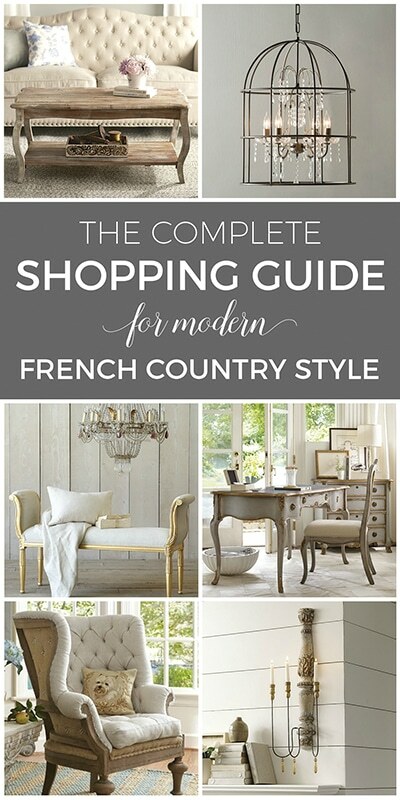 Her style comfortably mixes French with farmhouse, is decidedly fresh and modern, and is approachable and attainable. What I love about Anita’s point of view can be illuminated through this quote, where she recounts a motivating trip to France. 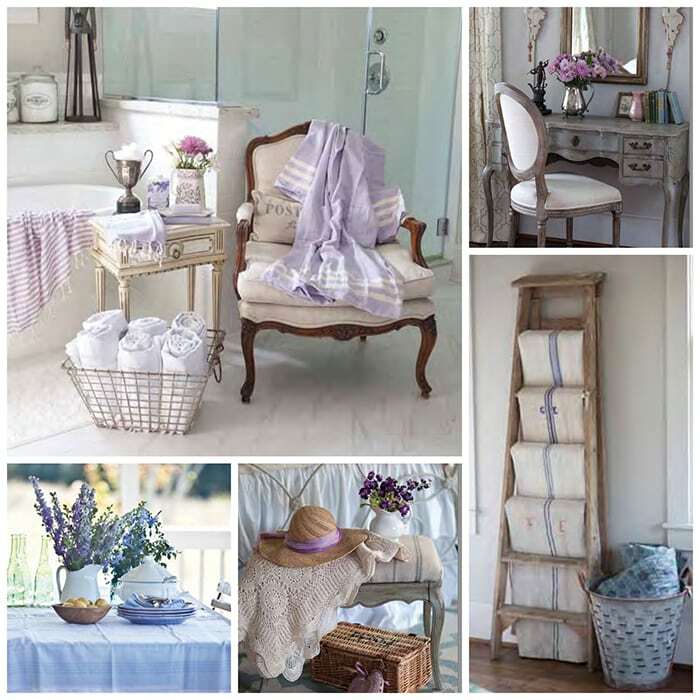 “In the distance, I could see laundry sparkling in the sun as it hung on the clotheslines.” Everyone loves fields of lavender and the delicate curves of a French chair leg. But to truly convey the essence of a well designed lifestyle, you have to be able to see beauty in windswept laundry. This viewpoint permeates Anita’s wonderful book and makes it a must-have, regardless of your existing book collection. “French Accents” is written with humor and candor, as well as the expertise Anita has cultivated in the many years since she’s been blogging at CedarHill Farmhouse. 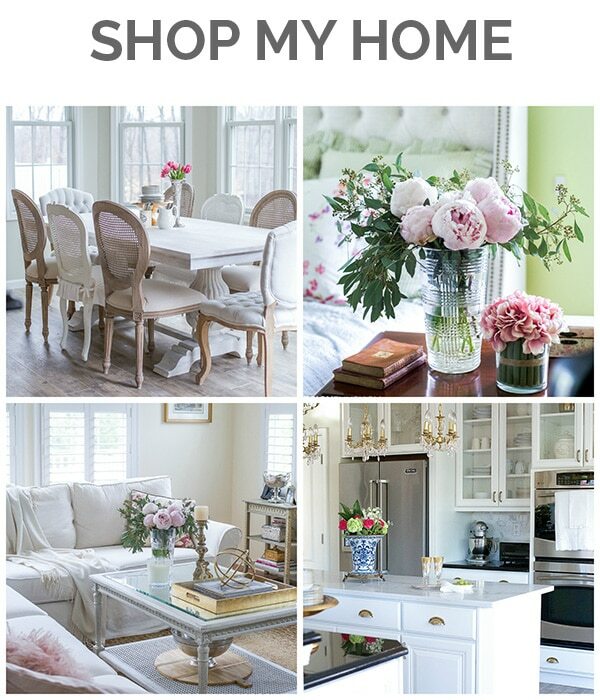 In addition to the story of her decorating journey, and the lovely visuals highlighting her style, the book delivers a clear roadmap to attaining the French Farmhouse look, including practical how-to’s, easy to follow DIY’s, illustrated examples, and is a genuine working resource. So where can you get your copy of this fabulous new book? You can order it through Amazon or you can get an autographed copy directly from Anita’s shop. I am delighted to be joining these other wonderful bloggers on the “French Accents” blog tour running throughout September. Anita has been an inspiration to me since I began blogging and it’s a pleasure to share her work with you. Thank you Lory! Wow, it’s so beautifully written and I love our line about the laundry. Now that is a quotable quote. 🙂 Well, it’s a beautiful book, but it really is the celebration of the little things that resonates so with me. 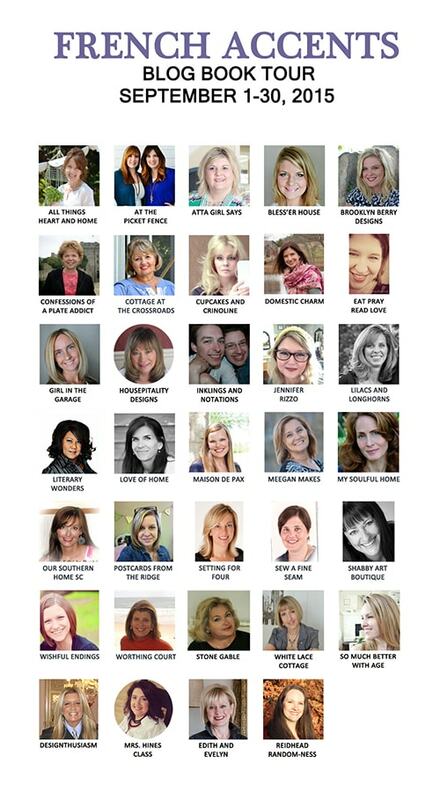 Thanks for including me on your blog book tour! 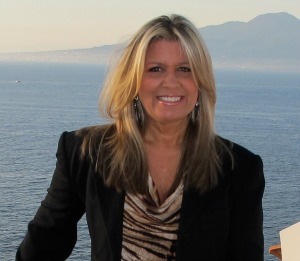 Hi Anita, it happened that I was in Lori’s blog and I saw your book and I have to say Love It! I bought the book a month ago and read it.Love it ,love it. 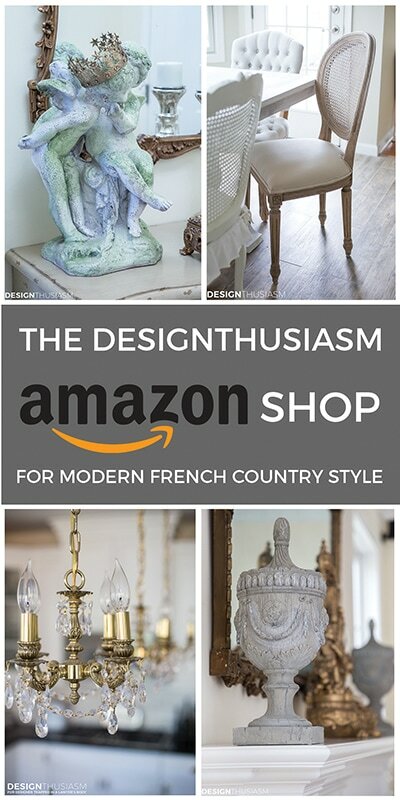 I own a Country Chic Boutique in Sparta NC and I am inspired in French Decor, so Lori is always sharing those places where to buy french items. Nice places and affordable . I just bought the Romantic magazine where she was published,I have to say Beautiful!! CongratulationS to her. Thanks for the kind words Ofelia! Not sure you realized your comment was posted on my blog, but I appreciate your words and forwarded the comment to Anita to enjoy, as well… 🙂 So glad you liked both the book and the magazine! You are so, so kind. Thank you so much and I am so glad you are enjoying your book. We are so excited we just bought a place in NC. We love it!